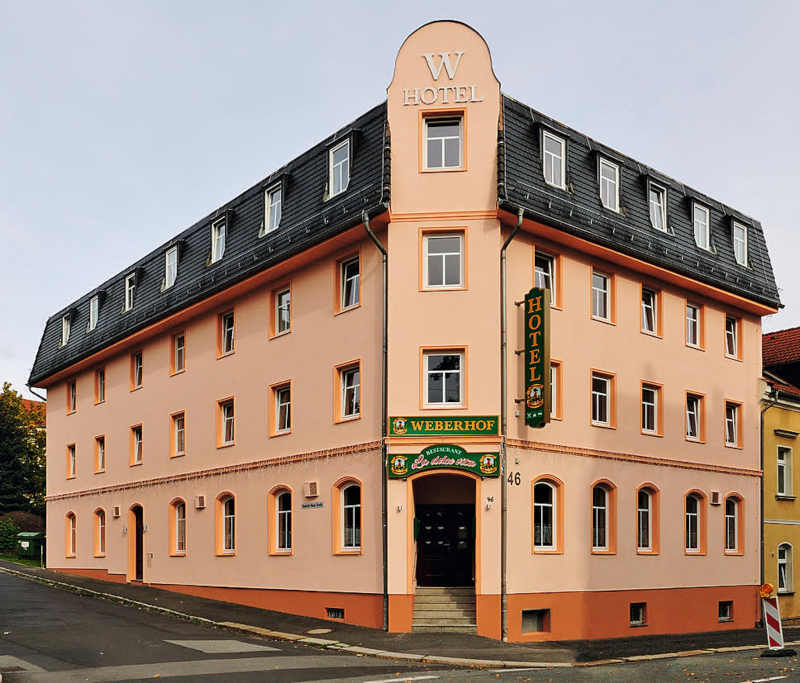 Location – Where we are: Hotel Weberhof *** is an ideal location to enjoy your stay for reasons ranging from holiday to business. It is located 800 meters from the historic center of ZITTAU. The town is the meeting point of three countries (Germany, Czech Republic and Poland). The triangle-shaped border (Dreiländereck) is about 4 km away. Olbersdorf Lake with its park is about 2 km away and in summer you can enjoy swimming. Zittau (about 25,000 inhabitants) is rich in history (as witnessed by the imposing villas and monuments) and it is also known as the city of the large Lenten Altar Cloths. After the Second World War, two Lenten altar veils Fastentücher were found in the Oybin Monastery (8 km from Zittau) and restored in Switzerland. The largest canvas, the gigantic size (6.80 x 8.20 meters) dated 1472, unique in Germany, is exhibited in the Museum of the Holy Cross Church, Heiliges Kreuz of Zittau since 1999 and attracts visitors from all over the world. The smaller size cloth (m 4.15 x 3.40 mt.) dated 1573 is of great artistic value and is kept in the ancient Franciscan monastery now the Civic Museum of Zittau. The location of the hotel is strategic as you can reach the center with numerous cultural facilities (including cinema, theater) and pubs on foot or by bicycle in a few minutes. The surrounding area invites you to go hiking (Zittau mountains, Oybin), relax (Olbersdorfer See) or day trips (historic Schmalspurbahn). As well you can easily reach towns like Görlitz, Bautzen, Liberec, Dresden or Prague by car or train. A vacation in history and relax without the stress of the big cities! There are no parking fees or tourist taxes at the hotel. The 28 comfortable rooms are modern and equipped with a TV (minimum 32 "LED), business desk, telephone and W-Lan. All have a separate bathroom with shower, hairdryer and beauty set (soap, shampoos, etc.). The Hotel has been completely renovated in 2016 - 2017 and refurbished with the newest technologies for your comfort, energy saving and respect for the environment. You can find for example, new generation Led lighting, electrical and fire system according to the latest regulations. The Hotel Weberhof has the category 3 stars and we offer comfort and a warm welcoming atmosphere always improving our services. The 28 comfortable rooms are decorated in ecological and modern style and can accommodate up to 55 people. 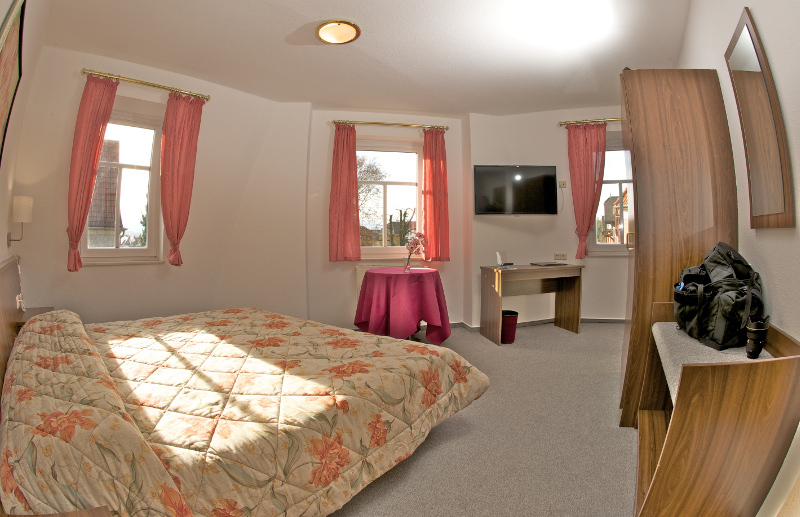 All rooms are equipped with an en suite bathroom with shower, hairdryer and courtesy kit (Beauty Set). In the room there are a desk, telephone, minimum 32" flat screen TV with satellite with over 150 TV channels and international radios. The really fast connection to WI-FI internet throughout the property is free of charge. There are single, double or triple rooms at first, second and third floor. Cot for children up to 2 years is available on request. All rooms have adjustable heating by the customer. Free parking for cars, vans and buses. Free garage for motorcycles and bicycles. Car Garage € 5,00 per day. Rent bikes on reservation and for a fee. Photocopy and Fax Service for a small fee. Reception and bar are always open. All valid credit cards in Germany are accepted. 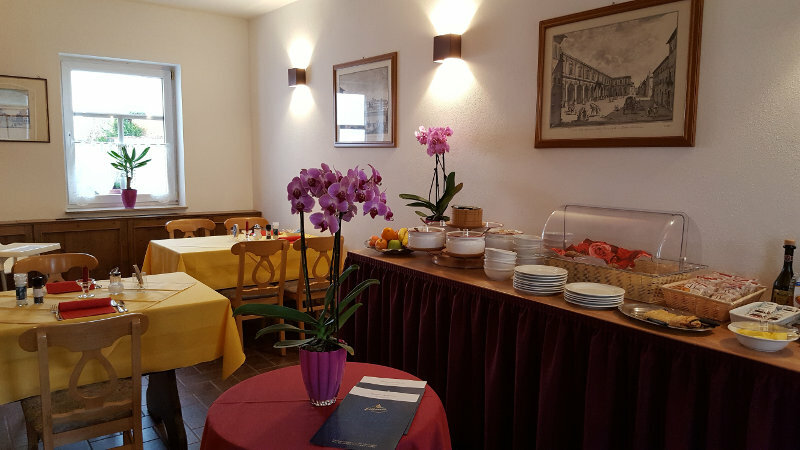 We offer the possibility to spend nice time in our restaurant La Dolce Vita , a genuine Italian restaurant with regional and Italian specialties imported directly from Italy. 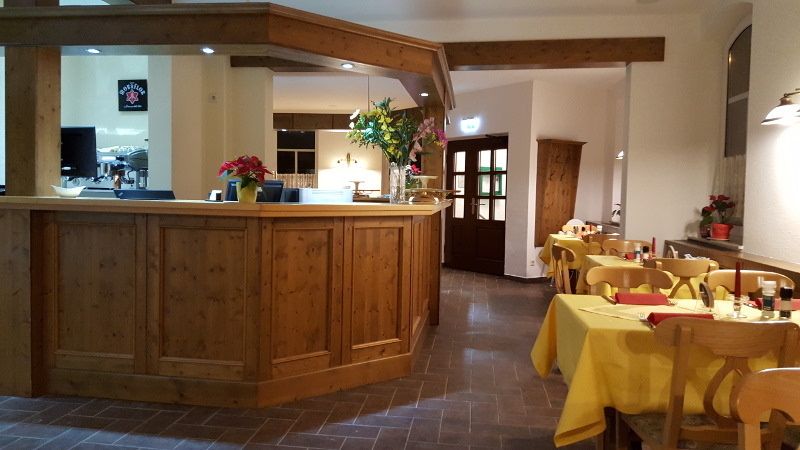 Our is the only true restaurant with Italian staff in Zittau. 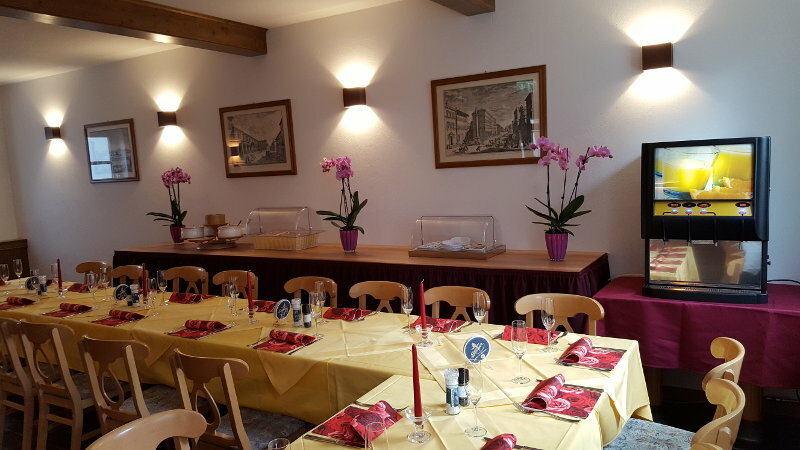 We prepare with passion typical and tasty dishes of appetizers, soups, pasta, tortellini, excellent quality grilled or skillet meat and, of course, sweet and tempting ice cream. Inviting salads and specialties with eggs are always available. Traditional Italian dishes that we prepare with passion can be enjoyed in our restaurant in a relaxed atmosphere. The bar is very stocked and you can taste local fresh beers on the plug: Pilsner, dark, unfiltered, Weizen or excellent Italian wines and liquors. Italian espresso and cappuccino with sweet temptations during all the day. Sometimes it seems to be in Tuscany, excellent Chianti wine and delicious specialties! 17.00 to 22.00 every day - upon request also at other times. The reception, the well-stocked bar are always open. La Dolce Vita means the sweet life or the good life is a black and white film by Federico Fellini (famous Italian director) from the year 1960. The film is about the life of the Hautevolee in Rome in the fifties in a fruitless search for love and happiness. The scene with Anita Ekberg in the Trevi Fountain became world famous. It's very important to start the day well! A rich breakfast buffet is served from 7:00 until 11:00 and on request, even at other times. To get you off a good start, we present you with an abundant breakfast buffet featuring fresh, organic products and locally produced cakes. Coffee, cappuccino, latte macchiato, espresso ... like in Italy! Bio fresh milk and butter are local. Perfect Couple! Other beverages includes hot chocolate, tea, fruit juices, fresh milk. We prepare at the moment the eggs in the frying pan or scrambled as you prefer. Even if you are not a guest of our hotel, then you can have breakfast with us. Breakfast buffet all inclusive costs € 10,00 per person. When possible, we ask for reservation or a short call. Thank you. Zittau narrow-gauge railway - daily with steam into the mountains!